Boys cotton bodysuit or shirt with a moose embroidered on it. 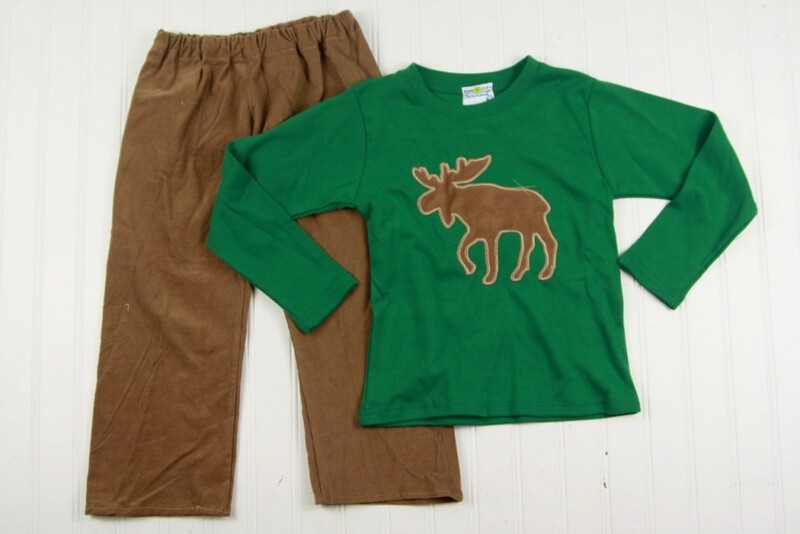 The camel corduroy pants are a perfect match. You can order the complete outfit, or just the top or pants. 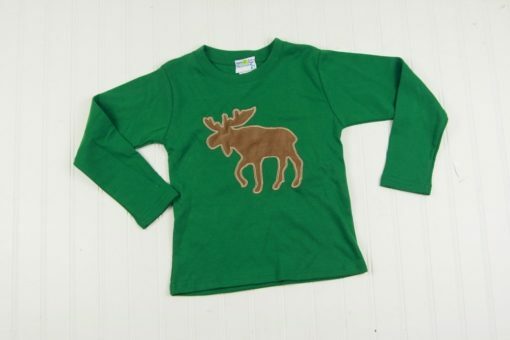 There's also the option to add a name under the moose. Price adjusts in bottom right corner based on your selections. Shipping Class A (see shipping options in cart at checkout). 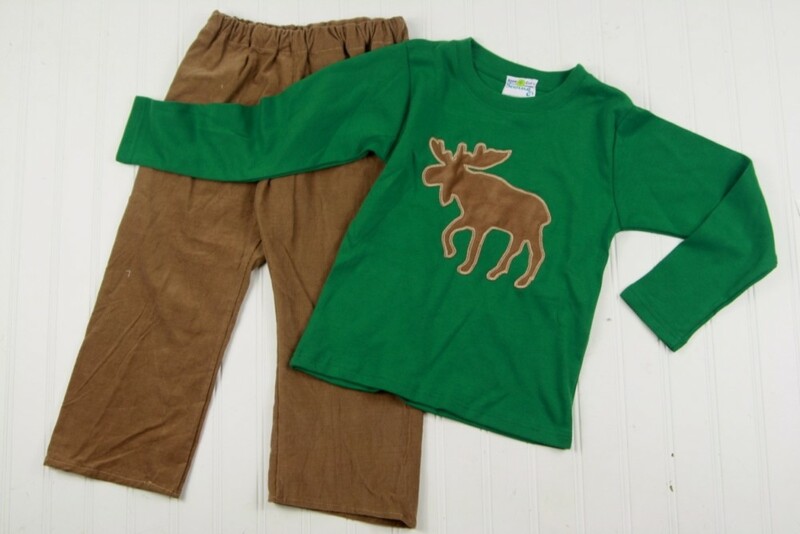 Our moose T-shirt for boys looks great with matching camel corduroy pants! 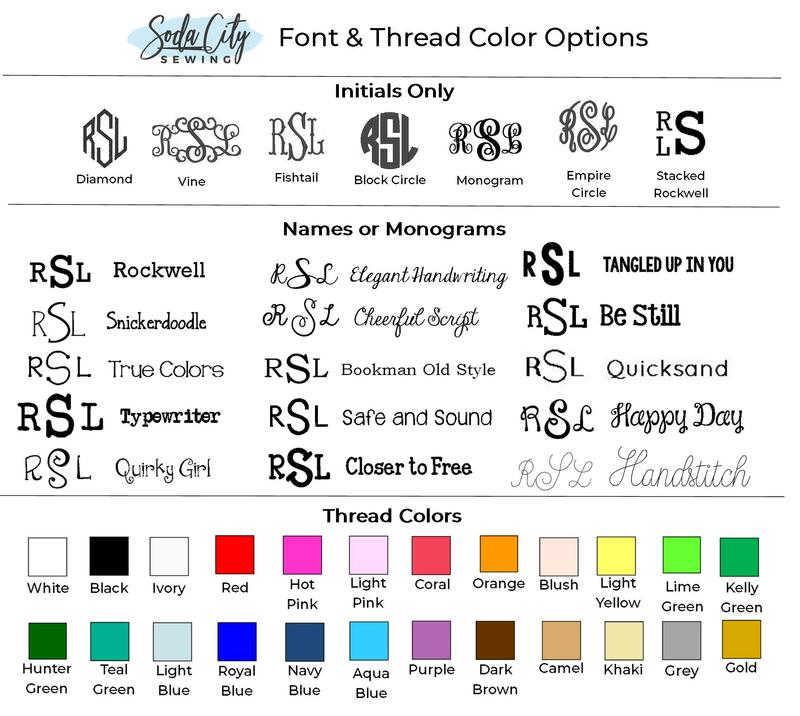 You can personalize the shirt by adding a monogram or name. Choose to get the camel corduroy pants for the full outfit, or choose between shirt or pants. The brown cords can work double duty and match tons of tops you already have as well. The colors can work around Christmastime but are also just as cute year round! The tops are 100% cotton knit. 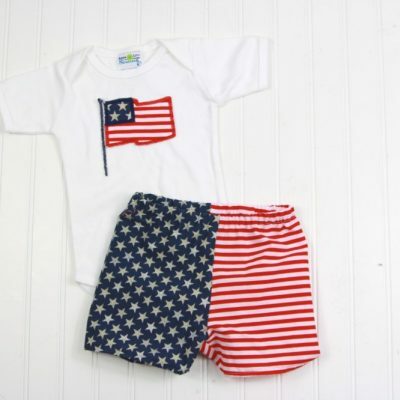 Bodysuits are available to size 18M. 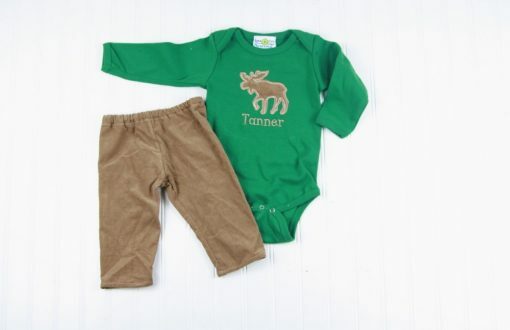 For toddler boys, T-shirts are available 2T and up. The cotton pants have an elastic waist for a flexible fit. You are welcome to get different sizes for the pants and tops, as well! OPTIONS: You can order the top, add a name, and/or add the pants. 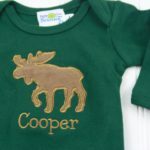 The font and thread color you select would be for the name or initials embroidered on the outfit under the moose. If you select No shirt or No Pants it will take that amount off of your total, the price adjusting in the bottom right corner. 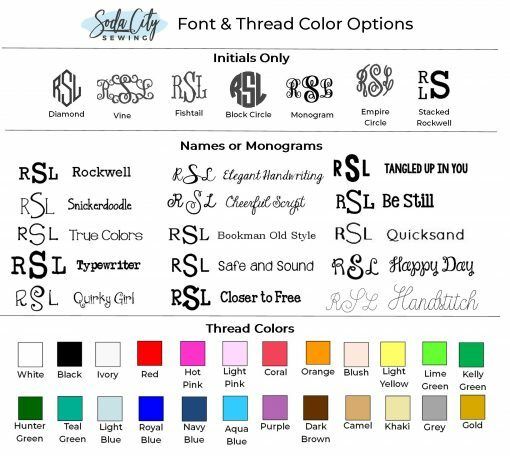 FONTS: Font Choices and thread colors for the shirts are available in the photos. This outfit is largely handmade and is shipping rate A. 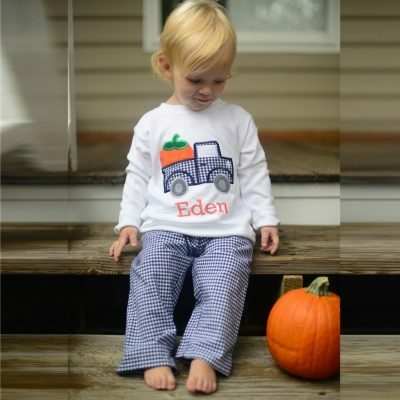 The shorts are completely handmade, and the shirt is appliqued and monogrammed to order. This means the cheapest shipping gets you the outfit within 2 weeks. If you need it faster there are several shipping upgrades available to get it in as soon as 5 days, 1 week, & 1.5 week during checkout!